Count the number of times you or someone at your office is talking to an audience at an event. Then add the number of times someone is talking to a group of clients. Add to that the number of times you’ve been part of a ‘pitch’ in which you are presenting your business or your product. What’s your number? Is it higher than expected? I bet it is. Without actually realising, we are all speakers. Whether it is at a conference or during our everyday work. I believe that in the business of marketing, this is even more so. We are also training our clients, sometimes even teaching potential clients. We are doing webinars, creating videos, and much more. As marketers, we are doing this all with one main purpose: to persuade. To persuade our clients to choose us, to persuade their clients to choose them. To persuade our colleagues or our management from the direction we are choosing. We are constantly trying to persuade. So answer me this: why is there so little attention for doing this right? So often, I am surprised about how little businesses actually pay attention to this part of the job. Because that’s what it is: part of the job. Yet we expect everyone in our organisations to ‘just do it’. Talent or no talent. You are expected to speak in one or more of the situations described above. State of Digital always has had a close relationship with speaking. We have our events list. From the start (when we were State of Search), we’ve covered events in the industry. And we’ve shared our share of great talks here in our Friday Talk section. We’ve also offered training in the past and recently promoted speaking training as well. But we want to take it a step further. We decided we wanted a little sister! As founder of State of Digital, I am proud to announce that little sister: Speak with Persuasion. 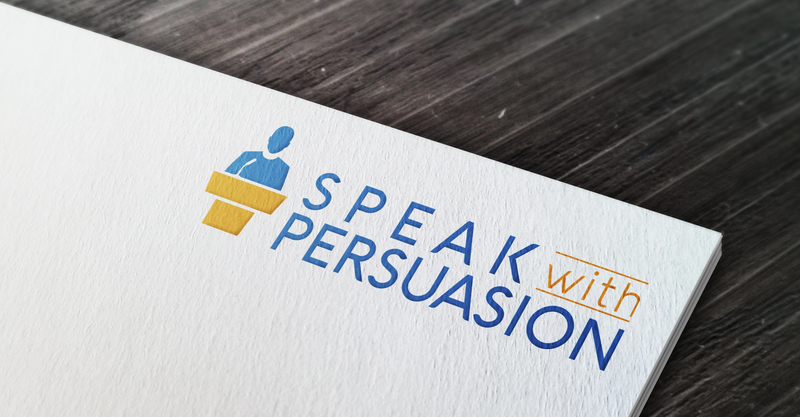 Like here on State of Digital, at Speak with Persuasion, we aim to make every marketer better. In this case better at a specific area: speaking. As said above, marketers are always speaking. Whether it is for internal or external purposes, we need to be able to present and persuade. Speak with Persuasion will help with that. Speak with Persuasion will be offering different training options for both individuals and businesses. But it will also be a learning platform for (marketing) speakers. Through articles, the blog, a unique series of exclusive e-mail tips & insights and in the near future a podcast, online training and webinars, you can learn everything about public speaking. Whether you are experienced in speaking or not. Whether you are looking for small tips or big changes. If you are looking for information to improve your pitches. Or if you just want to know more about being a trainer, it’s all there. Get Free Speaking Tips and Insights! Are you looking to become a better presenter NOW? Every week we send out an exclusive tip and insights to those that want to. Unique content about speaking, pitching and persuasion. Leave your name and e-mail and get the exclusive tips and insights! And then, go check out the website! We love to know what your thoughts are, so message me or drop me a tweet.